He is a research fellow at the Cato Institute with a special focus on India and Asia. His research interests include economic change in developing countries, human rights and civil strife, political economy, energy, trade and industry. He is a prolific columnist and TV commentator in India, well-known for a popular weekly column titled Swaminomics in the Times of India. He is the author of Escape From The Benevolent Zookeepers - The Best Of Swaminomics (New Delhi: Times of India, 2008) and has been called "India's leading economic journalist" by Stephen Cohen of the Brookings Institution. He has been the editor of India's two biggest financial dailies, The Economic Times and Financial Express, and was also the India correspondent of The Economist for two decades. He has frequently been a consultant to the World Bank and Asian Development Bank. At 61, he serves as an advisor to several Government and Private Enterprises in pursuit of health care services, environmental issues, tourism and social transformation. The Chief Architect of the thought process for developing the theme of Naturenomics-relates to an alternative approach to capital formation for a region or organization through the creation of ecologically 'compliant' assets in a sustainable manner & co-founder of several initiatives promoting Agriculture. 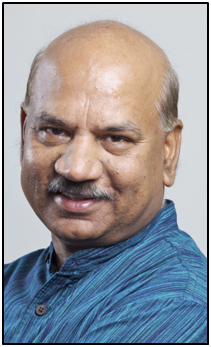 Ranjit is an entrepreneur with over 40 years of experience in managing and leading companies in a wide range of industries, including FMCG, Telecommunications, Tourism, Technology, Environment, Agriculture Outsourcing, and Health Care. He firmly believes in Social Entrepreneurship towards Betterment of Environment & Health and is consistently driving these initiatives and projects. Ranjit has initiated growth projects for public interest, social development, and innovation in related business, environmental conservation (Balipara Foundation) and market consolidation. He writes and speaks regularly on Climate Change, Environmental, Water, & Social entrepreneurship both in National & International issues. 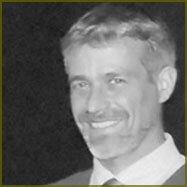 He is an urban environmental planner from Cornell University. He has been heading the Natural Heritage Division at INTACH since 1996 where he is now Principal Advisor. 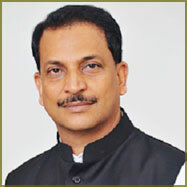 His basic planning qualifications have been enhanced by 'Ecology and Habitat Studies' from Exeter University, 'Conservation of Lakes and Rivers' from IIT Roorkee, 'Disaster Management' studies from World Bank, Diploma in Environmental Law from WWF, Certificate in 'Strategic Environmental Assessment' from Oxon. He has contributed to environmental conservation efforts and documentation of natural heritage in diverse parts of the country with a focus on water issues. He has authored significant policy papers, implemented successful projects in the areas of Heritage Conservation, Lake Management, Macro Water Harvesting, Watershed Management, Urban Environmental Planning, Village planning. He has been part of several multi-disciplinary consultancy teams and contributed papers in international conferences. He was born in Mumbai on September 4th, 1959. 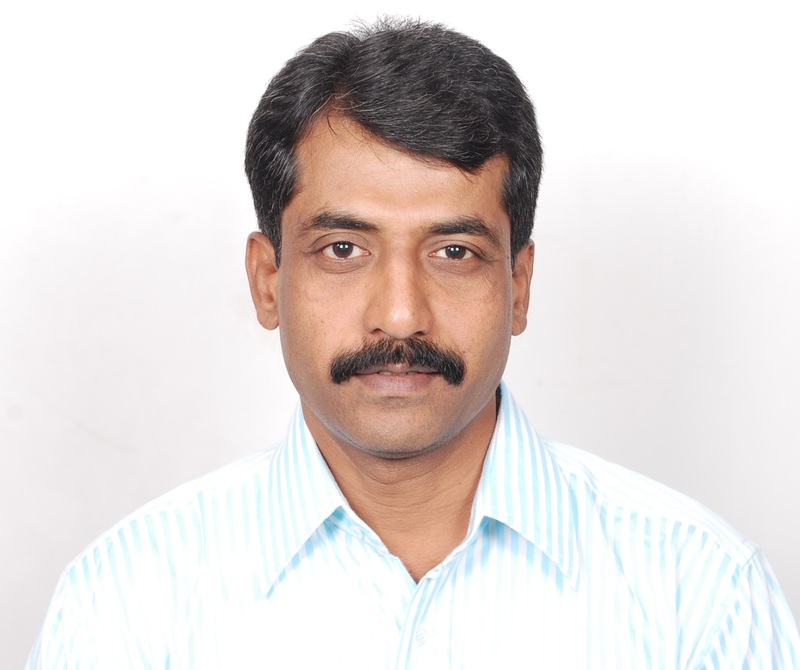 He is the founder and chief executive officer of earth soul India private limited. He was a member of the expert committee on plastics in waste management, constituted by the ministry of environment and forests in New Delhi and sits on the standards committee for the bureau of Indian standards with special reference to biopolymers from renewable resources. 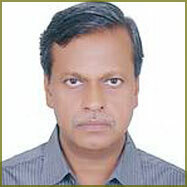 He was also a member of the environment committee of FICCI (federation of Indian industry) for the year 2007-08, 2008-09. He is the pioneer of the biopolymer movement in India and has been responsible for introducing Novamont's mater-bi in India since the year 2001. He launched and introduced the UK family owned, cobra beer, in India in 2002 and was its CEO till September, 2007. He has recently been appointed as an advisory committee member, of the international biochar initiative, headquartered in Washington dc. He is also the founder president of the society of biochar initiatives, an NGO formed in January, 2010. He is the founder president of the biopolymer society of India. 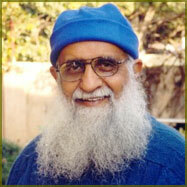 He is a passionate environmentalist and has presented papers on various environmental issues both in India and abroad. 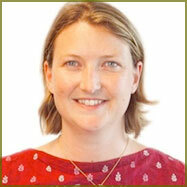 She leads the Forest and Landscape Restoration program in India. She works closely with WRI's Global Restoration Initiative to inspire, enable and mobilize political and social action for revitalizing degraded land and forests in the country, to achieve benefits for nature and society. This involves research, planning and implementation, communication and advocacy, as well as active coordination with multiple stakeholders including governments, businesses, civil society organisations, and communities. 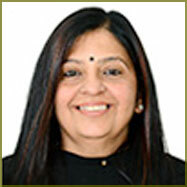 She has been involved with natural resource governance and policy processes in India for over a decade. Rohini has also worked with the University of Cambridge, UK to identify approaches that can enhance the translation of research into policy and practice. In addition, she has developed and taught several modules on international development at the Institute for Continuing Education in Cambridge. In the course of her work Rohini has engaged with diverse actors cutting across business, state and non-government sectors, at levels ranging from local to international. 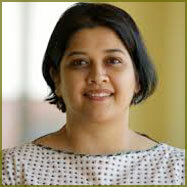 Rohini is the recipient of a small grant from the Rufford Foundation, UK. This grant is being used for developing and implementing an ecotourism initiative around Bandhavgarh Tiger Reserve in Central India, to support conservation and local livelihoods. 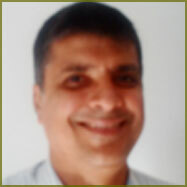 He is the founder-director of People's Science Institute (PSI), Dehradun. Promoted in 1988, PSI is on a humanitarian mission to disseminate the benefits of science and technology to India's oft-forgotten rural poor, especially in the states of Uttarakhand, Himachal Pradesh and western Orissa. 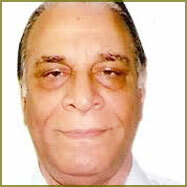 A highly qualified and experienced engineer and technologist, Dr. Chopra is also trustee of the Himalaya Foundation. Under the Sukha Mukti Abhiyan programme of the Palamau district administration, PSI has been instrumental in establishing village water councils (pani panchayats) for rural communities. These councils have built 143 earthen dams facilitating irrigation of 1,800 hectares in the district. Moreover in 24 villages, Mahila Vikas Sangathans, promoted by PSI, have established plant nurseries which have afforested 110 hectares of barren land. An alumnus of IIT-Bombay and Steven's Institute of Technology, New Jersey, USA, Dr. Chopra returned to India in 1981 to work as a research fellow at the Centre for Science and Environment, Delhi, of which he was appointed director in 1984. In 1988, he resigned his position and together with his wife Joanna, co-founder and executive director of Latika Roy Foundation, Dehradun, relocated to the foothills of the Himalayas and promoted PSI, to help the rural poor steer a path out of poverty. She is Program Coordinator at the International Water Association (IWA), which she joined in July 2012, with a focus on water, climate and energy, and the linkage between basin and cities, as well as providing technical support to other programs. She has a background in water resources and environment with an MSc in Environment and Development at London School of Economics in 2005, a Master's in Environmental Engineering from the University of Alberta, and a BSc in Environmental biology from Queen's university in Canada. Katherine previously worked for the International Union for Conservation of Naure (IUCN) in Nairobi as the Technical Coordinator for water and wetlands in Eastern and Southern Africa, as well as with IUCN at the headquarters in Switzerland in the Global Water Programme. She has also worked as an environmental scientist for a consulting company in the oil and gas sector in Edmonton, Alberta, and on technical projects in Bolivia and Ghana with the Engineers without borders. She is the Executive Director of Watershed Organization Trust (WOTR) and is an alumnus of the Government Medical College, Nagpur and a Takemi Fellow of the Harvard School of Public Health. Of the almost 3 decades spent working in rural areas, she spent six years in the Peruvian Andes where she organized a large-scale community-led health care system. After joining WOTR in 1995, as coordinator for women's promotion in the Indo-German Watershed Development Programme, she developed the pedagogy to integrate the community health, gender concerns and women's empowerment in the male dominated land-based, technical watershed development. Marcella took up the role of Executive Director of WOTR in 2006. Years of working in semi-arid regions and witnessing the varying and unpredictable weather patterns and its impact on rural livelihoods and well-being in these areas triggered WOTR's Climate Change Adaptation project for developing tested methodologies for large-scale application and applied research in 2009 that looks at socio-ecological systems and interconnectedness to find answers. Further, as these problems often have deep behavioural roots and cannot be addressed by interventions in the material realm alone, she brings in working at the inner/deeper level with WOTR's staff, rural communities and groups, as an integral part of WOTR's praxis. She is an environmental economist and a core writing team member of the Intergovernmental Panel on Climate Change's Synthesis Report. The IPCC Synthesis Report, which she helped to draft with other experts, has asked countries to cut greenhouse gas emissions by 40-70 per cent by 2050 and to zero by 2100 to keep global warming under 2 degrees relative to pre-industrial levels. Her research interest and specialization has been in Environmental and Natural Resource Economics (Primary specialization), Health Economics, Development Economics, Research Methods. She has pursued her PhD: "Economic Issues Relating to Water Contamination and Waste Disposal: A Case Analysis of Urban Development in Delhi," Centre for Economic Studies and Planning, Jawaharlal Nehru University M. Phil: "Energy Demand Projections and Emissions of Air Pollutants: A Sectoral Analysis for India," Centre for Economic Studies and Planning, Jawaharlal Nehru University. 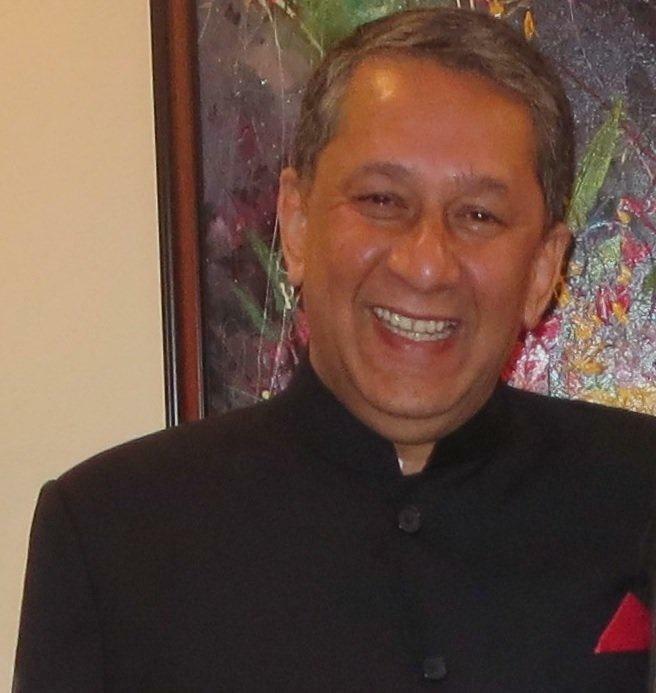 As a graduate of LSE, he taught economics at two UK Universities, worked briefly in the private sector, had a long stint as a government official in India and then joined the UN in 1990. In India he was in the Planning Commission and later in the Ministry of Finance as the Chief Economic Adviser. In the UN, where he was Under Secretary General for Economic and Social Affairs, his major work was the organization of a series of global summits, notably the Rio Earth Summit, the Copenhagen Social Development Summit, the Monterrey Finance and Development Summit and the Johannesburg Sustainable Development Summit. He continued to assist the UN until December 2010 as Special Adviser on Internet Governance to the UN Secretary General and the chair of the multi stake holder group that organises the annual Internet Governance Forum. He is a member of the Prime Minister's Council on Climate Change and the National Broadcasting Standards Authority. He is an Honorary Fellow of the London School of Economics and Political Science. He holds the Chair of the Governing Board of the Institute of Economic Growth and the Governing Council of the CUTS Institute of Regulation and Competition. He is associated with many other NGOs, is a member of the Board of Trustees of the World Wide Fund for Nature International, on the Board of Directors of Shakti Sustainable Energy Foundation and the Executive Council of the Nehru Memorial Museum and Library. He is Professor & Head, Civil Engineering Department, Indian Institute of Technology Delhi. 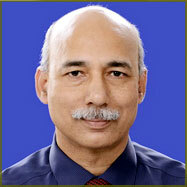 He is a Professor of Water Resources Engineering and GIS Technologies, in the Civil Engineering Department, IIT Delhi. 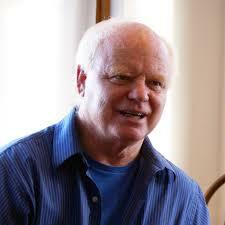 Some of his recent works include a significant contribution to the NATCOM, the National Communication to the UNFCCC. He and his team undertook the segment on Vulnerability Assessment & Adaptation for Water Sector and quantified the possible impact of the climate change on water resources of the country. He has served on many prestigious assignments with the World Bank, DFID, USAID and many Ministries and State Governments. One of his recent assignments include the formulation of the Ganga River Basin Management Plan (GRBMP), of which he is the Team Leader, Water Resources Management group. This is being done through a consortium of all the IITs. He did his Masters and Doctorate in Earth Sciences from the University of Roorkee (now IIT Roorkee). Currently he is heading the Research Management and Outreach Division at NIH, and has more than 30 years of professional experience. His skill sets include Project Management, Watershed Hydrology, Hydrologic Instrumentation, Rural Management, and Outreach Activities. He also served in the Department of Science & Technology (Govt. of India), New Delhi, where he developed innovative programmes under the schemes of Rural Development and for Young Scientists & Professionals under Science & Society Program. He has authored more than 100 research publications, including books, on Watershed Hydrology; Water Resources Management; Hydrologic Instrumentation; Technology for Rural Development; Assistive Technologies. He is a Life Fellow of the Indian Association of Hydrologists, Life Member of the Instrument Society of India, and Member of the International Association of Hydrological Sciences. He graduated in Applied Geology with Honors as Gold Medalist from University of Roorkee. 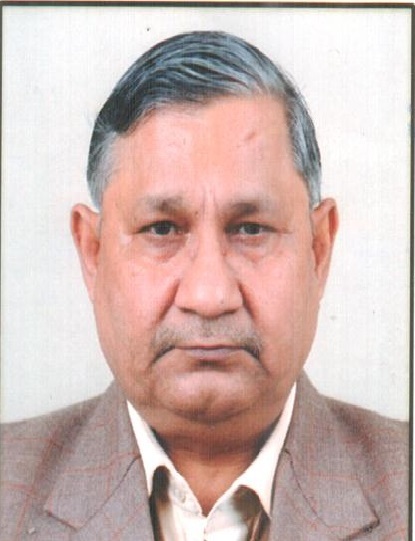 He took over as Chairman, Central Ground Water Board and Central Ground Water Authority in October 2012 and superannuated on retirement in July 2014. He has vast experience of working on diverse aspects of ground water development and management including Hydrogeological surveys, Aquifer Mapping and Management, Exploratory drilling for ground water, detailed ground water budgeting, isotope applications, pollution aspects, Conservation and Artificial Recharge to Ground Water, Data Base Management, Regulation and Control of Ground Water Development, and management of Trans-Boundary (National) aquifers. He is a widely travelled ground water scientist with various accolades. He lead the Indian delegation to the Executive Meeting on "Application of Isotope Techniques in Geogenic Contamination" held in Vietnam, in 2006. He was invited by UNESCO to present a paper on "Trans-boundary Aquifers in Punjab, India" during ISARM conference held in Paris in December 2010. He participated in the World Water Week 2012 held at Stockholm, Sweden. In January 2013, International Atomic Energy Agency (IAEA) invited him for a meeting at Vienna (Austria) on application of isotope techniques in aquifer mapping. He is former President of Indian National Chapter of International Association of Hydrogeologists (IAH) and was also the Vice President of Indian Water Resources Society. He is founder of AgSri (ww.agsri.com), a social enterprise working with farmers in improving the productivity of agriculture. AgSri promotes System of Rice Intensification (SRI) and SSI methods which are very popular with farmers in many countries. Prior to establishing AgSri in 2010, he worked with WWF-International, Gland, Switzerland from 1993-2010. He established the freshwater program and initiated several national and international projects. He was team leader of WWF-ICRISAT project (2004-2010) which worked on improving the water productivity. He was Director of Deccan Development society (1988-1992). He represented WWF in many international forums such as World Water Forum, World Commission on Dams, Ramsar Convention, etc. He published extensively on water, agriculture and related subjects. He has obtained a Ph.D. form Jawaharlal Nehru University, New Delhi and a Postdoctoral Fellow at McGill University. He during his long professional career spanning well over forty years, has held high positions in academics as well as in government-economic administration and diplomacy. He held the positions of Professor and Head, Department of Economics, M.S. University of Baroda (1978-1986) and Director, Institute of Economic Growth, Delhi (1995-96). 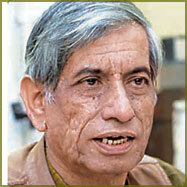 He served in the Planning Commission of India as Adviser, Principal Adviser, Member and Member-Secretary (1986-2000). 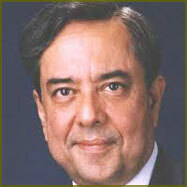 He was Ambassador of India to Kazakhstan (2000-2002). Prof. Hashim was also the Chairman of Union Public Service Commission, Govt. of India from 2002 to 2006. 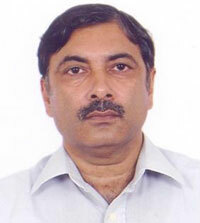 He was Director of Institute for Studies in Industrial Development, New Delhi from 2007 to 2010. At present, he is also the Chairman of Indian Association of Social Science Institutions (IASSI), New Delhi. He Chaired the Working Group on Wholesale Price Indices (1997-1999), and was Chairman of the National Commission on Integrated Water Resources Development Plan (1997-1999). Presently he is Chairman of "Expert Group on Identification of Urban Poor", formed under Planning Commission, Govt. of India. He also one of the members in the Draft Committee constituted by Ministry of Water Resources, Government of India in 2011 for preparing the new Water Policy for India. Possessing Ph.D in Environmental Biology, she has more than 20 years of work experience in Project Appraisal, Implementation, Monitoring & Evaluation of Social and Rural Development Projects in different Sectors (Water, livelihood and food security, economic & social development, women development, microfinance, rural & urban sanitation, water & natural resource management, climate change, forestry & environmental sector) with international and national organizations. Some of the core areas of her interest in which she was involved are; monitoring of program outputs and evaluation of program impacts for major livelihood projects viz ;World Bank/IFAD assisted Rural Women Development & Empowerment (Swa-Shakti Project), IFAD assisted; Jharkhand Tribal Development Program/Chattisgarh Tribal Development Program and World Bank supported; Bihar Rural Livelihoods Project. He received his PhD in experimental physics from Harvard University in 1969 with a doctoral dissertation in hyperfine structure of hydrogen halide isotopes. He is the co-chair of United Nations Environment Programme's International Resource Panel (UNEP-IRP) and is internationally known for pioneering and contributing to "sustainable development". He is recognized for popularizing the word and concept of "sustainability" in international forums. He was actively involved in various projects that defined the environmental views and activities of institutions such as UNEP, UNESCO, UNU, the U.S. Academy of Sciences, IUCN and ICSU/SCOPE. He helped Revelle design and teach the groundbreaking undergraduate course, "Natural Sciences 118", which eventually led them to jointly publish "The Survival Equation", the first definitive textbook on the subject. As director of the OEPC, he worked closely with Prime Minister Indira Gandhi to introduce a broad range of methodological and institutional innovations necessary for managing environmental resources in a developing country such as India. She has more than 20 years of extensive working experience in thematic areas like Water resources management and its linkages with livelihoods and agriculture; Rural development and livelihoods; Biodiversity; Biotechnology; Climate change; Water, sanitation, food and nutrition nexus; Bamboo as a source of sustainable rural livelihood generation, clean energy and climate change mitigation. 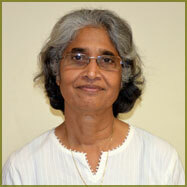 She served as a Director Policy and Partnerships in Water Aid India (WAI) for 6 years. Other organisations where she has worked include the Centre for Science and Environment, Oxfam South Asia, Aga Khan Foundation and Water and Sanitation Management Organisation. She was also a member of committees like Working Group Rural Drinking Water and Sanitation for formulation of 12th Five Year Plan; the National Advisory Council for Water and Sanitation, Expert Committee for review of guidelines of Nirmal Bharat Abhiyan (rural sanitation programme), Government of India; Expert Committee for SACOSAN III and IV of the Government of India; Jury Member for FICCI-HSBC Water Awards 2012 and 2013. He was one of the pioneers in IT in India. After his graduate study at MIT, and a year's work experience, he accepted a position at the IIMA, and spent his first year at the Harvard Business School. Inter alia, he learned all about the computerised HBS Management Game. At IIMA, later, he procured an H-P 2000A BASIC Time shared system which was installed at IIMA in 1970. For five years it was the only computer in India which enabled upto 16 persons to programme on it simultaneously. He worked on Systems in Government, and did a number of studies for the Ministry of aHome Affairs, the Tourism Ministry, and the Defence Ministry. In 1974, he left IIMA to start a non-profit Think Tank, Systems Research Institute, in Pune, with considerable help from the Ford Foundation. Focussed on field problems of Management in Government, Systems Research Institute did a number of studies in Rural Development, Tribal Development, etc. Later, in 1989, he launched a software development programme that resulted in India's first Geographical Information System, THEMAPS. GIS ideas were spread in India through Courses as well as exercises. He is a Member of the Planning Commission chaired by the Prime Minister of India. In this ministerial level position, he is responsible for facilitating the shaping of policies and programs relating to industrialisation and urbanisation in the country, and tourism. He has a combination of hands-on leadership experience, consulting experience to leadership teams internationally, and thought-leadership as an author and speaker on the subjects of leadership and organisation transformation. 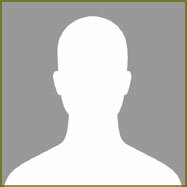 He was a member of the Tata Administrative Services and worked in several senior positions in the TATA Group in India and abroad for 25 years until 1989. He worked with Arthur D.Little Inc (ADL), the international management consultancy, in the USA and consulted with companies across the world on issues of growth strategies and transformational change. During this time he was Managing Director of Innovation Associates, an Arthur D. Little subsidiary, Leader of ADL's North American Manufacturing Practice and Leader of ADL's World-wide Organization and Strategy Practice. He was also the Chairman of The Boston Consulting Group in India. He was Chairman of Save the Children, India, and Chairman of the Axis Bank Foundation. 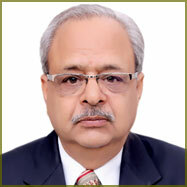 He has served on the boards of several Indian and international management education institutions. He is an Indian Gandhian, author, journalist, environmentalist, and water conservationist who work on promoting water conservation, water management and traditional rainwater harvesting techniques. He had been awarded the 1996 Indira Gandhi Paryavaran Puraskar (IGPP) award instituted by the Ministry of Environment and Forests, Government of India. He travels to villages across several Indian states, especially Rajasthan, Madhya Pradesh, Maharashtra, and Uttar Pradesh, describing the value of time-tested systems of water harvesting. He advocates conservation of traditional water structures in India as well as abroad. He promotes the use of indigenous or traditional knowledge to solve water problem via preservation, maintenance and regeneration of ponds, water management and rain water harvesting. He was awarded the 'Amar Shaheed Chandrasekhar Azad National Award' of 2007-08, instituted by the Government of Madhya Pradesh, Culture Department to "propagate and publicise ideals of freedom struggle, patriotism and social service". He has written books, like Aaj Bhi Khare Hain Talaab (Lakes are still Standing, 1993) and Rajasthan Ki Rajat Boondein (Radiant Raindrops of Rajasthan, 1995), landmark works in the field of water conservation. He has more than 30 years work experience as an administrator in appropriate technologies, power & machine electronics, electrical engineering, information & communications technology, project management, quality management, environmental economics, rural development and social entrepreneurship development. As an Affiliate Professor at Colorado State University, USA since 2004, he has worked with Late Professor Emeritus Maurice L. Albertson to promote participatory practices for sustainable development (PPSD) and appropriate technologies (AT). He has been involved with Aquaponics and urban agriculture (UA) since 2010, with partnerships in Dr. Nathaniel Storey of University of Wyoming, Laramie, USA and Mr. James Godsil of Sweetwater Foundation, Milwaukee, USA. He has developed Aquaponics and Spirulina Eco-Parks in the Sunderbans in West Bengal, and the Central Institute of Fish Education (CIFE) in Mumbai. He is presently COO and Secretary of the Club of Rome-India, at Delhi, and was the Chief Rapporteur for the food & nutrition security (FNS) global conference held by CoR-India in October 2014. He is the CEO of WRI India based in Mumbai, and is responsible for WRI's staff located in 3 cities and several locations. In that capacity, he oversees programs on sustainable cities, clean energy, climate change, and landscape restoration. Earlier, he spent 10 years in geo-hydrologic consulting to start his career in the 80s, and ran his own hi-tech company in the 90s in the US specializing in the application of AI modelling for energy and environmental problem solving. Before joining WRI in 2013, he was the President of the International Institute for Energy Conservation (IIEC) for 13 years, and operated offices in the US, UK, Brasil, India, China, Thailand and the Philippines, with energy efficiency programs in a dozen countries. He holds a bachelor's degree from India, two master's degrees and a public policy doctorate from the US. He is the Chairman of Central Water Commission. He graduated in Civil Engineering from Saurashtra University and M. Tech. in Structural Engineering from IIT, Delhi. He joined the Central Water Engineering Service in CWC in October, 1977 as Assistant Director and has held various positions in the Department and other organizations under the Ministry of Water Resources like WAPCOS, NWDA and NPCC. In his service encompassing all aspects of water resources sector, he gained all round experience in water resources sector involving resource assessment, project planning, design, execution, operation and safety assurance, funds management, commercial consultancy management. Major areas of his works include Planning of water resources projects for hydropower and irrigation including regional planning for optimum water resources utilization. Managing funding programmes for accelerated development of water resources projects and problems analysis as well as policy formulation for smoother funds flow. Advanced experience in engineering software development and associated technologies like NET platform for desktop and web based software system development. Planning and implementing IT infrastructure projects. He is an Indian politician and the current Railway Minister of India, under the Narendra Modi government. He is a Chartered Accountant by profession and a member of the Institute of Chartered Accountants of India. He presently represents Haryana in Upper House of Indian Parliament. Suresh Prabhu completed his high school from Sharadashram Vidya Mandir, Dadar, Mumbai, followed by a Bachelor in Commerce with Honours from M.L. Dahanukar College, Vile Parle, Mumbai. He is working on his Ph.D. in Climate Change from Frei University Berlin and Public Finance from Mumbai University. Prabhu has held several government and semi government positions, which includes chairmanship of Maharashtra State Finance Commission, Saraswat Co-operative Bank, Member of the Maharashtra Tourism Development Board, among others. Prabhu has travelled to more than 100 countries. He is working on 16 global organizations and 9 strategic dialogues. He was, at various times during the Premiership of Atal Bihari Vajpayee of 1998 to 2004, Industry Minister, Minister of Environment and Forests, Minister of Fertilizers & Chemicals, Power, Heavy Industry and Public Enterprises. As the Union Minister for Power he won praise for his performance. 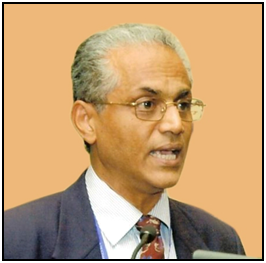 S. Ramadorai, CBE, Chair of the Indian National Association for the Club of Rome was the adviser to the Prime Minister of India in the national council on skill development, Government of India. He holds a rank equivalent to an Indian Cabinet Minister. Earlier, he was Vice - Chairman of Tata Consultancy Services Limited. He was honoured with the Distinguished Achievement Award from the Indian Institute of Science, Bangalore. In 2002, he was awarded with CNBC Asia Pacific's prestigious 'Asia Business Leader of the Year' Award. He has been honoured with the position of 'IT Advisor to Qingdao City', People's Republic of China. His academic credentials include a Bachelors degree in Physics from Delhi University (India), a Bachelor of Engineering degree in Electronics and Telecommunications from the Indian Institute of Science, Bangalore (India) and a Masters degree in Computer Science from the University of California - UCLA (USA). In 1993, Ramadorai attended the Sloan School of Management's highly rated Senior Executive Development Program. Commencing his political career as a student union leader, he is a known political face in India, recently been inducted as a Union Minister for Skill Development and Entrepreneurship & Parliamentary Affairs in the Council of Mr. Narendra Modi's government. He was a Member of the State Legislature of Bihar apart from being the Office Bearer of the Bhartiya Janata Party. In his earlier tenure, he worked as the Minister of State for Commerce and Industry in 2001, and subsequently elevated as the Civil Aviation Minister in 2003. He is credited as the only Parliamentarian on globe operating Airbus-320 Jets, flying with one of the largest private airlines in India as a Senior First Officer and also figures in the Limca book of World records. Recently, he is credited with flying a Sukhoi 30-MKI, a fighter aircraft in the Indian Air force. He represents the Parliamentary Constituency of Saran in Bihar. He has completed his schooling from Patna and subsequently graduated in law from Punjab University, Chandigarh after his graduation from Government College, Chandigarh. He has held CxO and ministerial level positions and serves as an independent director on the boards of Public and Private Sector companies and NGOs. As a Professor of Systems, Governance and Decision Sciences, Environmental Systems and Business he mentors students and teaches systems, information systems, environmental systems and sustainable development at universities in Europe, Asia and the Americas. He has been the first e-governance Advisor to a State government. He is also actively engaged in civil society where he participates in several environmental, resource and nature conservation initiatives, has authored draft legislations for river and natural resource conservation, right to good governance and has contributed to election and democratic reforms. As a future designer and recognized as a global expert on complex systems he helps individuals and organisations understand and design the future of their worlds. He works with business and government executives, civil society leaders, politicians, generals, civil servants, police, trade unionists, community activists, United Nations and ASEAN officials, judges, writers, media, architects, designers, technologists, scientists, entrepreneurs, board members and business leaders of small, mid and large single and trans-national companies, religious leaders and artists across a dozen countries and various industry sectors to help them and their organisations succeed in their missions. 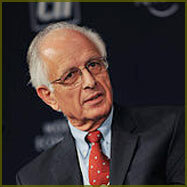 He advises the World Economic Forum through its Global Agenda Council for Complex Systems and the Club of Rome, Indian National Association as a founder life member. He holds a PhD in designing sustainable systems from the faculty of Mathematics and Natural Sciences of the Rijksuniversiteit Groningen, the Netherlands. His distinguished career spans more than three decades in the field of natural resource management. He joined the Indian Forest Service in 1977 and served in various capacities at State and Federal government levels. Prior to joining IUCN, he was the Director, Wildlife Institute of India, where, other than leading the organization, he also acted as an advisor to Government of India and State Governments on matters relating to management of natural resources in general and wildlife in particular. In his long career, he has been associated with policy formulation, programme development and field level implementation in the area of Wildlife Conservation. He has also been associated in wildlife research, capacity building programmes for managers of natural resources and in developing support-systems for decision making on conservation related issues. He has made significant contributions through his work, including conservation breeding of endangered species, developing housing standards for up keep of animals in captivity, management of the Tiger Reserve, implementation of a nation-wide tiger estimation programme, and the translocation and rehabilitation of Tiger and Bos-Gaurus (the Indian Bison) into the wild. He has also directly contributed to and led various environmental impact assessments including cumulative impact assessment studies. 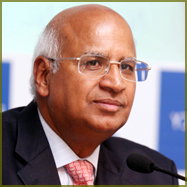 He is Mentor & Chairman Emeritus, Fortis Healthcare Limited. He is recognized worldwide as a thinker and speaker on the integration of global healthcare. 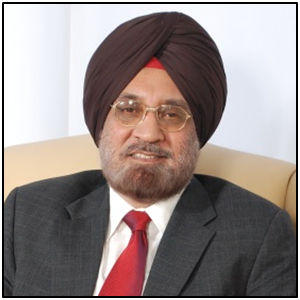 Currently he is the Mentor & Chairman Emeritus and a member of the Board of Directors of Fortis Healthcare Limited, Fortis Clinical Research Limited, Religare Enterprises Ltd., and SRL Diagnostics Ltd. He is also Director of Impact Projects Private Ltd and Impact Senior Living Estates Private Limited. He was Non Executive Chairman of India's largest Pharmaceutical Company, Ranbaxy. He was a member of the National Round Table on School Education, a member of the Executive Committee and of the Governing Council of Public Health Foundation of India (PHFI), a member of the Board of the Delhi Red Cross Society, a member of the Board of Governors of NIIT University, a member of India-UK Round Table and India-US Strategic dialogue. 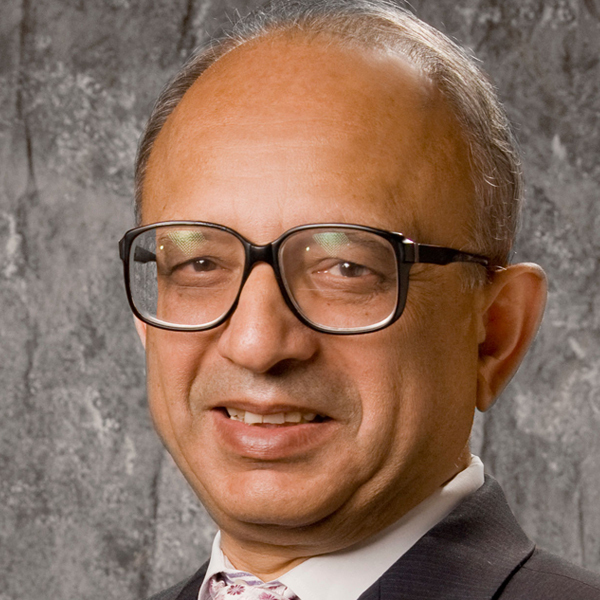 He is a Trustee of Indian National Association for the Club of Rome. 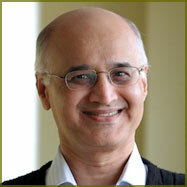 He is a Member of the Board of Wadhwani Initiative for Sustainable Health. He is Founder and Chairman of Nanhi Chhaan Foundation. 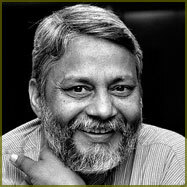 He was also a member of the Board of Governors of IIT, Indore. Currently he is the Chairman, Save the Children India and Vice Chair, Save the Children International, UK. An alumnus of The Doon School and an (Hons.) Graduate in Economics from St. Stephens College, New Delhi. A B.S. in Economics and a Masters' in Public Affairs from the California State University at Hayward, California, U.S.A. He is a well-known water conservationist from Alwar district, Rajasthan in India. Also known as "waterman of India", he won the Stockholm Water Prize, an award known as "the Nobel Prize for water", in 2015. He won the Ramon Magsaysay Award for community leadership in 2001 for his pioneering work in community-based efforts in water harvesting and water management. He runs an NGO called 'Tarun Bharat Sangh' (TBS), which was founded in 1975. He is one of the members of the National Ganga River Basin Authority (NGRBA) under Ministry of Environment, Govt. of India, which was set up in 2009, by the Government of India as an empowered planning, financing, monitoring and coordinating authority for the Ganges (Ganga), in exercise of the powers conferred under the Environment (Protection) Act,1986. In 2008, The Guardian named him amongst its list of "50 people who could save the planet. In 2009, he led a pada yatra (walkathon), a march of a group of environmentalists and NGOs, through Mumbai city along the endangered Mithi river. He is the Secretary General and CEO of WWF-India since 2003. Prior to this appointment, he started his career as a Lecturer of History in Bhagat Singh College, Delhi University after his Masters from St. Stephen's College in 1975. He worked with two international banks Standard Chartered and Deutsche Bank for over two decades and was General Manager, Mumbai with Deutsche Bank before joining WWF-India. He has an abiding purpose towards the conservation of nature and working for India. As the head of WWF-India, the country's largest conservation organization, he participates in national for a on several areas in relation his work. WWF India's initiatives on biodiversity conservation and reduction of human footprint are led through wildlife conservation, education, sustainability practices, climate adaptation, water and river basins, marine and policy. Some of the priorities areas of his work are to provide strategic direction to the conservation work of WWF-India and to help achieve organizational goals for India's ecological security. He is the Executive Director of PRADAN, a well-known non-profit organization promoting rural livelihoods and empowering village communities. PRADAN is working directly with more than one million people now in 5,000 villages across seven of India's poorest States. He joined PRADAN in 1990 and has supported PRADAN teams across regions to deepen livelihoods of rural poor. He has earned his M Tech Degree in Water Resources Development and Management from IIT, Kharagpur and B Tech in Civil engineering from NIT, Rourkela. He has more than 58 years rich experience as a Hydropower and Water Resources Engineer. He has been engaged practically in all aspects of hydropower engineering starting from investigations through planning, feasibility study, detailed feasibility study, detailed engineering to construction monitoring of medium and major Hydro Power Projects. He has been associated with practically all the major and important Water Resources, Hydro Power Projects of the country and neighbouring countries. He has carried out unique designs and several innovations in the field of Hydro Power, Water resources and Tidal Power Engineering. 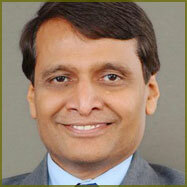 He has been responsible for the preparation of a number of Indian Standards. He is a recognized International Expert in Hydro Power Engineering. 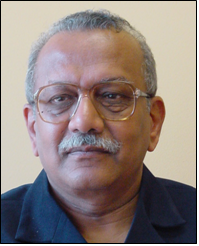 He has contributed more than 130 Technical Papers to National/International journals and Conferences. He is widely travelled and has participated as Author/Chairman in a large number of National and International Conferences. President - International Society of Rock Mechanics - India (ISRM-IND). He completed his M.Sc. (Statistics) from I.I.T.Kanpur with specialization in Sampling Techniques and Operations Research. Worked in Central Road Research Institute for about two years where he did the socio-economic feasibility study of ISBT Bridge in Delhi over Yamuna. Joined Indian Statistical Service and worked in Central Statistical Organisation (CSO) for estimation of National Income, Wealth and Capital Formation in Indian economy. He taught at National Sugar Institute, Kanpur for about eight years where he did SBCA for co-generation of power from sugarcane bagasse and production of ethanol from Molasses which were presented in ISO. He worked as in-charge of National Sample Survey Organisation in the Central Zone comprising of undivided U.P., and M.P. for conduct of regular surveys to estimate poverty, employment, and collect data on prices, Industrial and Agricultural Statistics. He worked as Director (Trade) in Ministry of Agriculture dealing with bilateral and multi-lateral Foreign Trade Agreements in WTO under Doha Round. Later he worked in Ministry of Water Resources for conducting V census of Minor Irrigation and I Census of Water Bodies, where after retirement he is still working as consultant. A Scientist, currently Principal Investigator - RWH and Senior Fellow at Karnataka State Council for Science and Technology (KSCST), Indian Institute of Science, Bangalore 560 012, is a Researcher and Technology Promoter. He joined KSCST in the year 1981 and served in the field of development of village industry equipments and implementation of environment and renewable energy programmes in Karnataka. He is known for his contribution to popularize Solar Water Heaters in the initial period of solar energy promotion between 1984 and 1994. He served in the field of Decentralized, Sustainable Energy and Water supply utilities for rural villages at "International Energy Initiative - Asia office" as Programme Executive between 1994 and 2000. One of the major contributions by him is in developing Rainwater Harvesting programmes both in urban and rural homes of Karnataka. He is instrumental in bringing in policy changes at Government of Karnataka to establish Rainwater Harvesting measures in Government and private buildings. 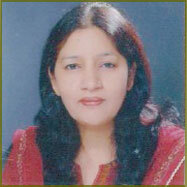 She is currently the Vice Chancellor of the TERI University from January 2012. The TERI University is a graduate institution engaged in teaching and research on sustainability issues, with nearly 700 students - a hundred of whom are PhD students. She is a member of various committees and Boards both at the international and national level, she serves on the Executive Committee of Sustainable Energy for All (SE4ALL) initiative of the UN Secretary General and the Energy Advisory Board of the World Economic Forum. She is on the Editorial Boards of various international journals dealing with energy and environment issues and has a number of publications to her credit. She has a Masters in Economics from the University of Hyderabad and a Ph.D. in Energy Economics from the Indian Institute of Science in Bangalore, India. He is a biologist working in what is sometimes considered the general field of ecological design, in that his ideas often involve applications that become the basis of alternative technologies. His principal professional interests have included solving problems of food production and waste-water processing. As an author, he has presented the outcome of the work that he and colleagues have undertaken in a series of books, as well as in the requisite scientific papers. In 1969 the Todds co-founded the New Alchemy Institute to do both fundamental research into aspects of biology and disciplines as well as to apply biological science to technology. Todd and colleagues have designed miniature ecosystems, largely self-perpetuating, which bring ecological principles into service of human requirements. Todd's approach has involved applications of micro-organisms, fish, and plants (phytoremediation). He co-founded Ocean Arks International. He also co-founded Living Technologies Inc., an ecological design, engineering, and construction firm in Burlington, Vermont. Responsible for building up a trans-disciplinary group of professionals at Development Alternatives, capable of addressing various facets of environment and sustainable development.Co-ordinated or actively participated in nearly all the activities undertaken by the group. Conceptualised and spearheaded several of the major initiatives including the Community Led Environment Action Network (CLEAN-India), Corporate Environment and Social Responsibility, Development Alternatives Information Network (DAINET), and the Poorest Areas Civil Society (PACS) Programmes. Also worked in the construction industry and academia. He is a Member of several international and national governing bodies, advisory panels and working groups on environment and development issues. Some of these include the Green Economy Coalition, Climate Action Network-South Asia, World Bank Community Development Carbon Fund (CDCF), the Global Water Partnership (GWP), UNEP Global Environment Outlook (GEO), IUCN, the Planning Commission and various ministries of the Government of India. Also spearheaded several NGO initiatives: like the Credibility Alliance nationally, and the Regional and International Networking Group (RING). He has travelled extensively within India and overseas. He has a Masters Degree, with distinction, in Urban and Regional Planning from the School of Planning and Architecture, New Delhi; and a Bachelors Degree in Civil Engineering from the Regional Engineering College, Rourkela. He is an agricultural economist, is the Director of the Columbia Water Centre's India affiliate, the Centres for International Projects Trust (CIPT), and is an Adjunct Research Scientist at Columbia University. Prior to this, he worked at Punjab Agricultural University (PAU), Ludhiana, for 15 years. His research focus has largely been on economic aspects of natural resource degradation (especially water), climate change and its impact on agriculture and the role of rural labour markets in rural development. He has a PhD in Agricultural Economics from PAU and has an advanced diploma in Agricultural Research for Development from the International Center for Development oriented Research in Agriculture (ICRA), Wageningen, Netherlands. Specialist in: Water, energy, food, and climate nexus; climate change; food security and livelihood; agriculture economics; labour markets, energy use and policy advocacy. Senior Adviser, GIZ- India, is MSc in Water resource management from University of Northeast Lower Saxony and MSc in Geology from University of Gottingen. 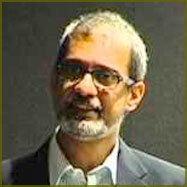 Presently he is Senior Adviser for the Indo-German Environmental Programme ASEM at GIZ. He has a fine Research experience in Water and Sanitation, Water treatment technologies and Fresh/Saline water interfaces. He has done various project works; publications; presentations and training programs in areas of Decentralized domestic waste water treatment systems, Conservation of surface water environments, Integrated Water Resource Management (IWRM) in rural water supply and Ground water storage and exploration from non-consolidated aquifers. 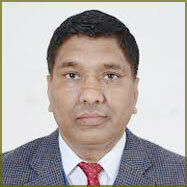 He has also been Adviser to different state Pollution control boards and established environmental consultancy firms. "Emerging Market Leadership for Global Green Growth Summit" was held at Ashok Hotel, Delhi during 15-16 April 2013.